A terrible threat hangs over Promenadia, a quiet town next to the sea. While Manila awaits the birth of his second child, he becomes involved in an investigation of the methodology of a serial killer who always leaves a shoe at the scene of his crime. But the same monster who makes him afraid for the world that his children will inherit also turns out to be a source of inspiration. Derrumbe is the story of a brutal and tormented man, of two injured families, of three young men on a mission to re-shape the world through violence and of the five people who pursue them. Conceived as a reflection on the attraction of evil on victims and perpetrators, participants and spectators, this unsettling novel hides a catalogue of the different ways that terror is conditioning our lives beneath the surface of a thriller. 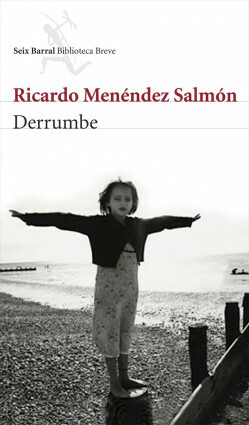 After the success of La Ofensa, greeted as one of the most important and original works of 2007, Ricardo Menéndez Salmón returns with this exceptional novel; a book that is hard to read without suffering from an accelerated heart rate. The precision with which Menéndez Salmón chooses his words, using silence as a weapon, fills this story with the suspense that has become a characteristic hallmark of this exciting author. Marcos & Marcos (Italy), Wereldbibliotheek (The Netherlands), Jacqueline Chambon (France), Porto Editora (Portugal).